The Bahrain Center for Human Rights (BCHR) strongly condemns the public prosecution’s renewal of BCHR’s president Nabeel Rajab’s sentence. Today, Rajab was remanded for an additional eight days in detention, pending investigation over charges related directly to his right to exercise free expression. 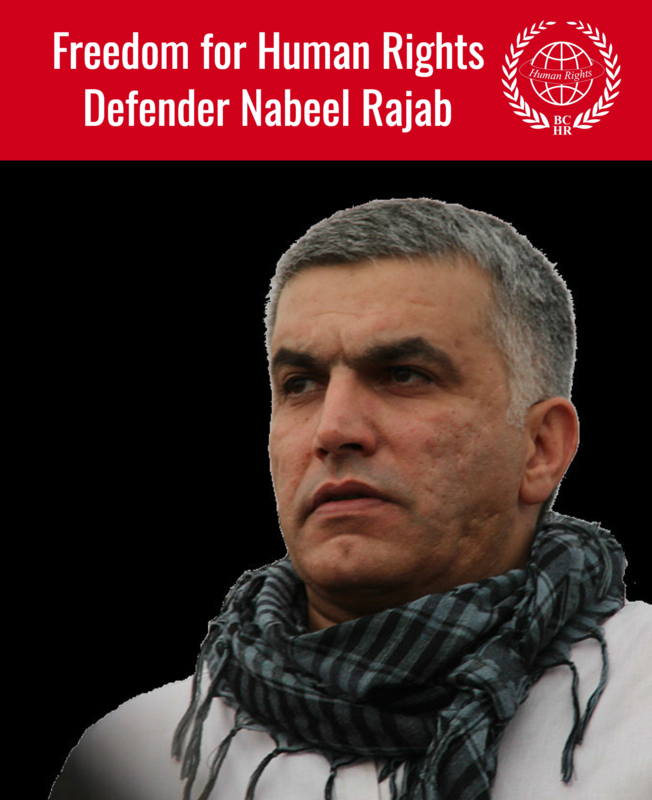 Leading human rights defender Nabeel Rajab, President of the Bahrain Center for Human Rights (BCHR), Founding Director of the Gulf Centre for Human Rights (GCHR) and Deputy Secretary General of FIDH, was arrested on 13 June 13 2016 in the early hours of the morning without any immediate disclosure of a reason why. He was held at Riffa police station without any direct access to his lawyer, and he was not informed of his charges until the following day. On 14 June 2016, Rajab was brought to the public prosecution, where he was officially charged with "spreading false news and rumours about the internal situation in a bid to discredit Bahrain". This charge was in relation to statements he gave during past television interviews in early 2015 and 2016. The public prosecution remanded him to seven days in detention pending investigation. Since the arrest, BCHR has received information that Nabeel Rajab is enduring poor conditions and ill-treatment in his continuing pre-trial detention. He is currently detained in solitary confinement at the Riffa police station in a cell that is locked at all times, unlike those of other prisoners’. He is not allowed contact with anyone. Moreover, the living conditions in his cell are unsanitary and degrading. During their first visit, his family was allowed to spend only 15 minutes with him, under the strict and close supervision of a police officer. Based on information reported by his family, Rajab is being deprived of basic privileges. The arrest of Nabeel Rajab was widely condemned by international human rights bodies and governments, including the United Nations Secretary-General Ban Ki-moon who said that “such actions by the State authorities could potentially damage the human rights situation in the country.” In addition the United States, France and Germany have raised concerns while the United Kingdom has thus far stated that it is “seeking to establish the facts”. 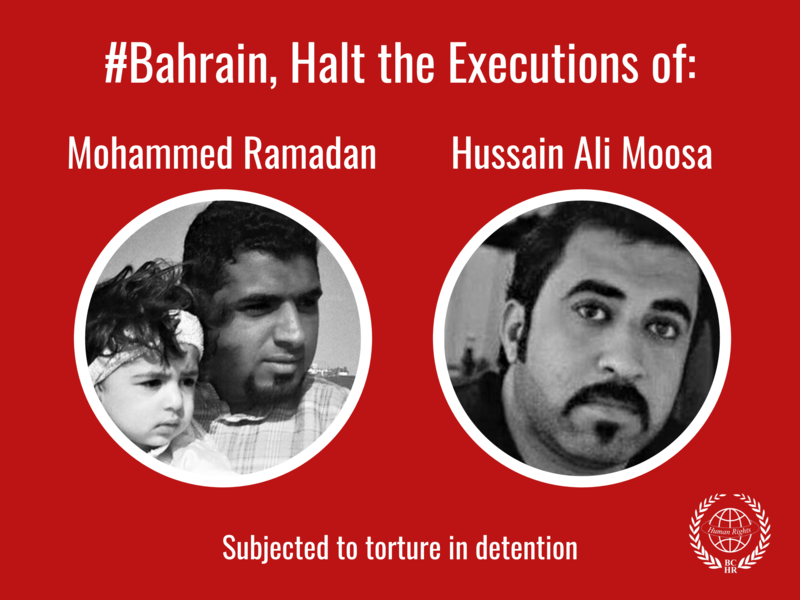 In addition, the Chair of the European Parliament Subcommittee on Human Rights (DROI) has condemned the arrest and called the Bahraini authorities “to put an end to the persecution of human rights defenders in the country and to unconditionally and without further delay release Nabeel Rajab". Today, the office of the high commissioner stated issued a statement mentioning the case of human rights defender Nabeel Rajab and other recent alarming issues in Bahrain.